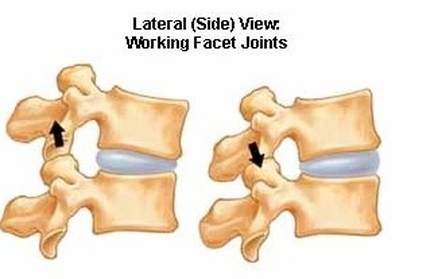 When the joints in the spine start to deteriorate because of old age this gets called facet Arthrosis. Cartilage that is essential in keeping your spine and back mobile and functioning right begins to get worn away. Cartilage called connective tissue covers up facet joints where the bone would touch other bone if it were not there. It provides a protective covering as well as intercepts the strain and friction. With this cartilage having been worn away, it will end up causing stiffness, bone spurs, and pain that will slow your activities to a halt. Facet Arthrosis happens only in the spinal region where the facet joints connect the vertebrae together. Each one gets surrounded by cartilage and something called a synovial membrane. This membrane secretes a fluid that helps to lubricate the joints of the spine and keep the properly moving. Weak cartilage makes movement of the joints more difficult. A person can lose the ability to move and lose flexibility as well as experience a large amount of pain when this occurs. Bone grinding against other bones is a very painful experience that no one wants to have. Many that experience pain in the lower back that radiates starting at the facet joints and going down through the buttocks and to the upper leg are suffering from Facet Arthrosis. The pain is generally not felt in the front of the leg and usually does not radiate beyond the knee. When trying to distinguish between pain that is from a disc herniation and pain from facet Arthrosis this is a good way to tell the difference. If facet Arthrosis is found in the cervical region pain can radiate through the upper back or shoulders. The pain usually does not end up reaching as far up as the fingers or forearms. More pain gets associated with facet Arthrosis patients from leaning back more than forward. Those who get diagnosed often express a persistent tenderness in joints and some loss of flexibility in the spinal muscle. A lot of the time acute and unpredictable episodes intermittently occur. They can occur as often as a few times a month to as few as a few times a year. There is no way for an individual to determine when they will have an episode or how intense the pain of the episode will be. If you think there might be a chance that you have facet Arthrosis, talking to your doctor is a good idea. There are multiple kinds of qualified doctors who can give you a diagnosis of this or any other type of spinal condition. You can start with your family doctor first. They will explore a few things about your family history as well as your physical symptoms. By providing this information to them they can try to isolate what possible risk factors you have and get familiar with what symptoms you might have as well. You will likely be directed toward a rheumatologist who will specialize in the different diseases that affect the joints. Getting a consultation from an orthopedist may also be needed. They specialize in conditions of the musculoskeletal system. If you have a back pain that lasts more than just a few days and does not respond to any over the counter medications you should find your way to the doctor to see if something more serious has not happened to your back. How is Facet Arthrosis Diagnosed? This disease gets diagnosed by a qualified physician and will normally just require an x-ray. Abnormal facets are usually visible though more information from a CT scan will show more information than the x-ray. The CT scan will offer more information about structures of the spine. If nothing is found in either of these tests, an MRI diagnoses other contributors to back pain.